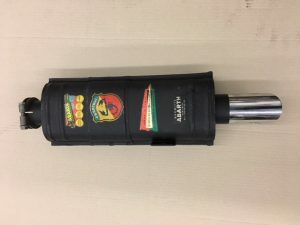 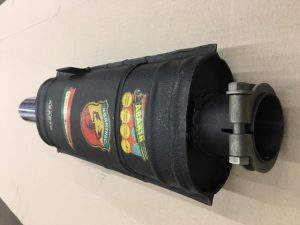 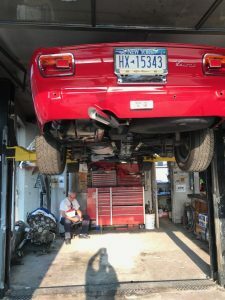 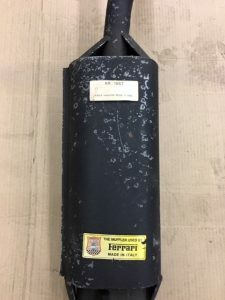 ALFA ROMEO 1750 GTV, 1750 Berlina and Giulia Super with STANDING PEDALS 1st series, 2-part Abarth exhaust system, including middle silencer and endsilencer, EXCL. 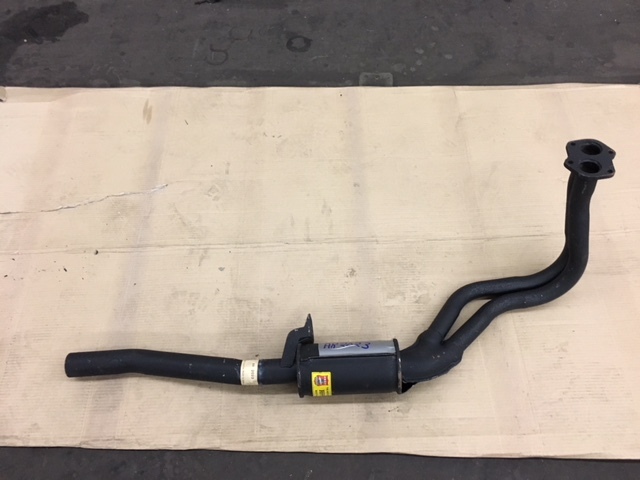 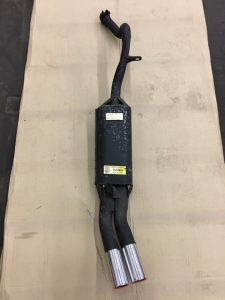 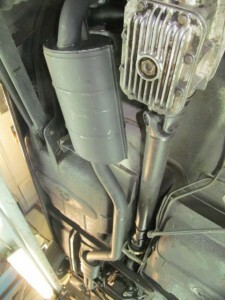 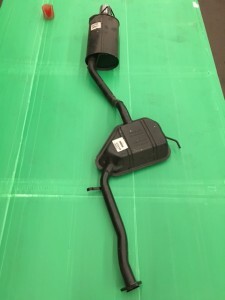 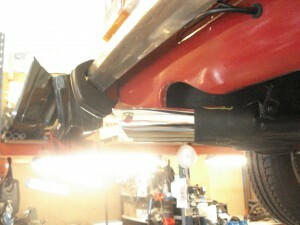 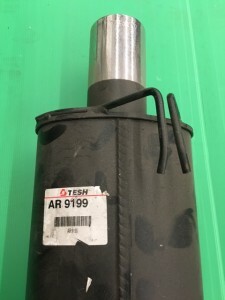 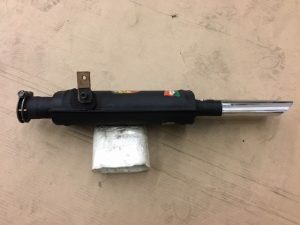 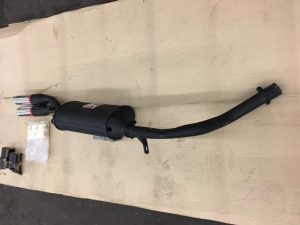 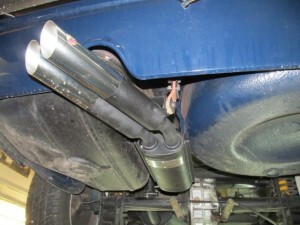 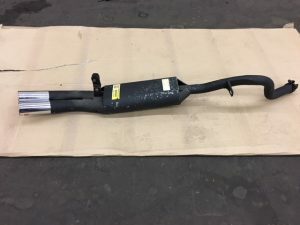 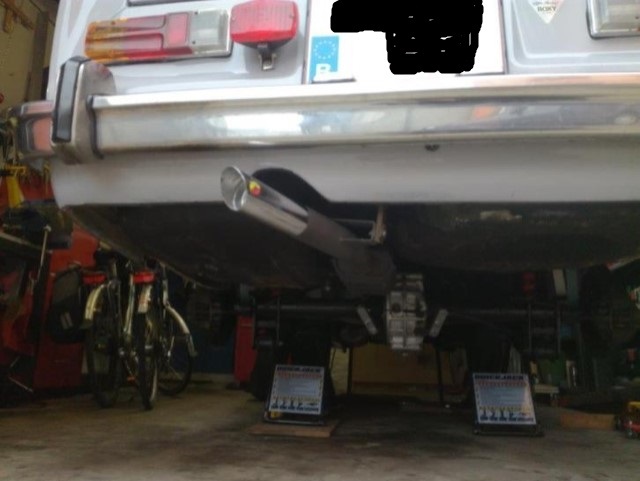 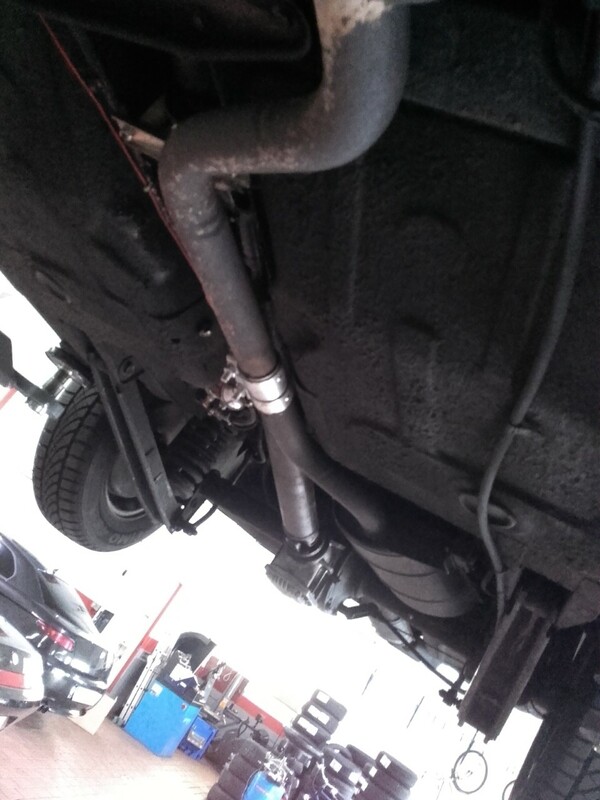 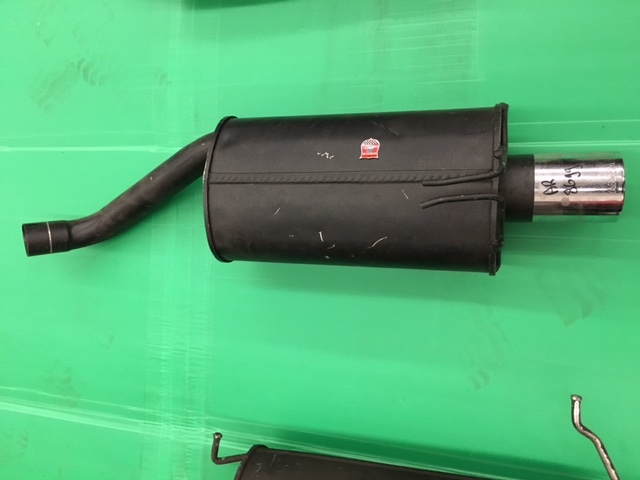 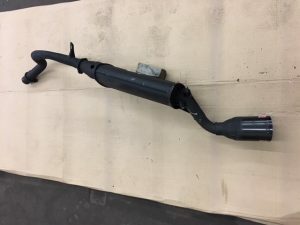 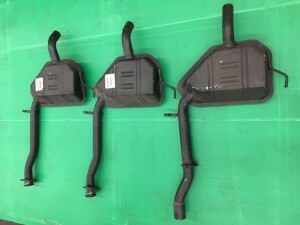 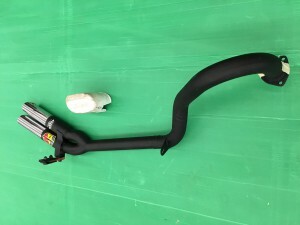 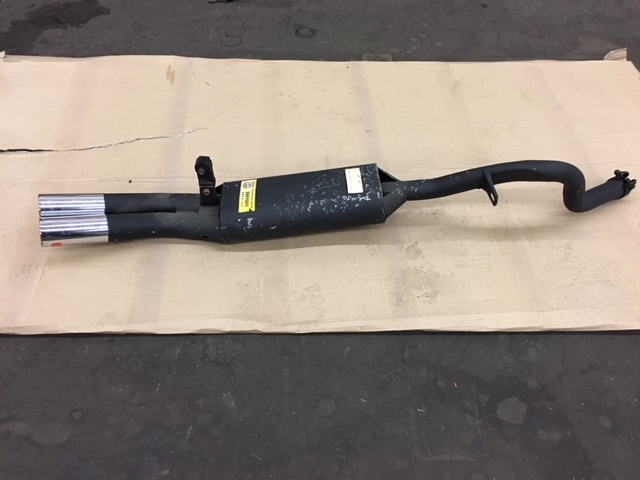 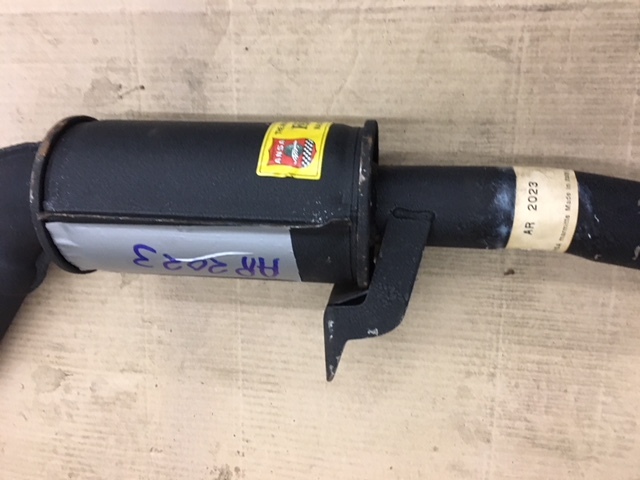 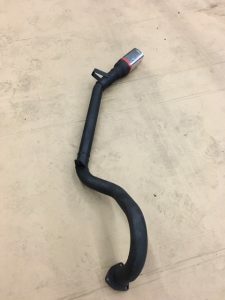 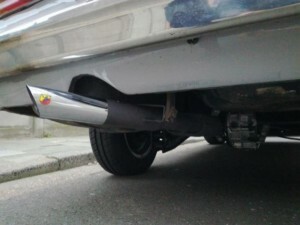 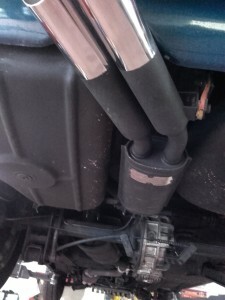 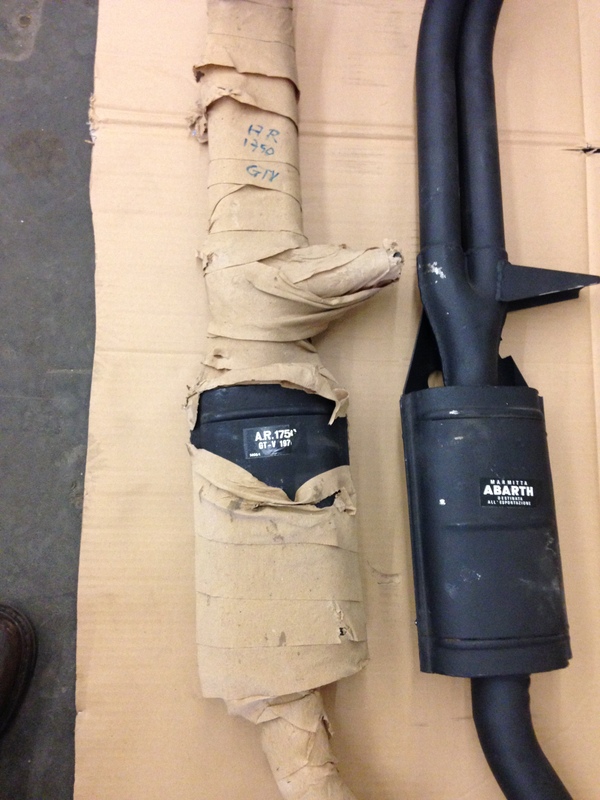 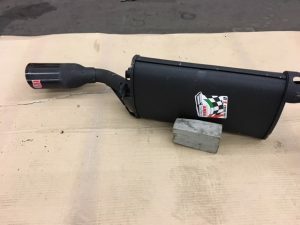 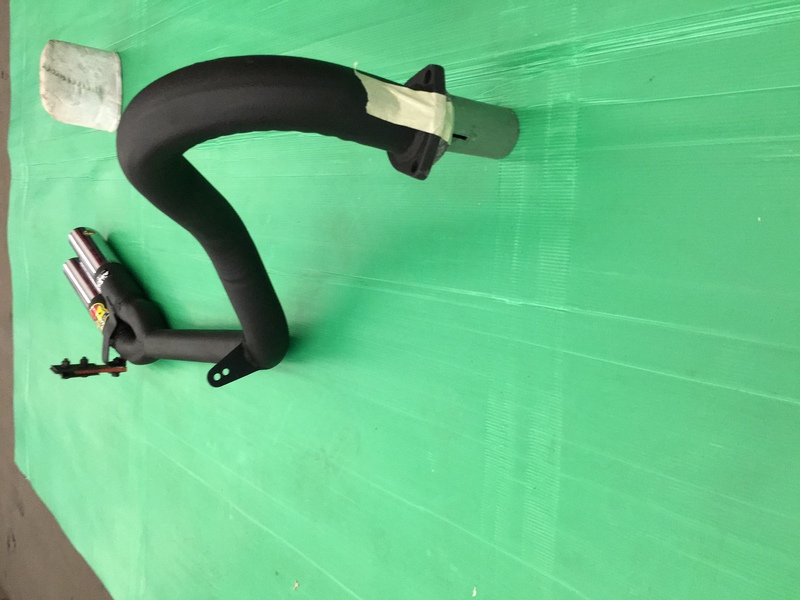 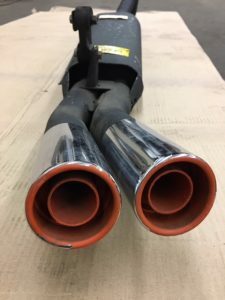 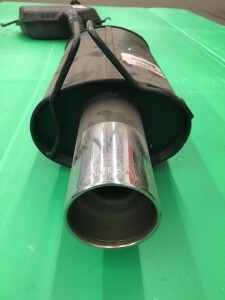 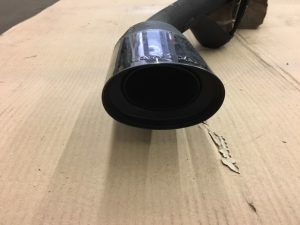 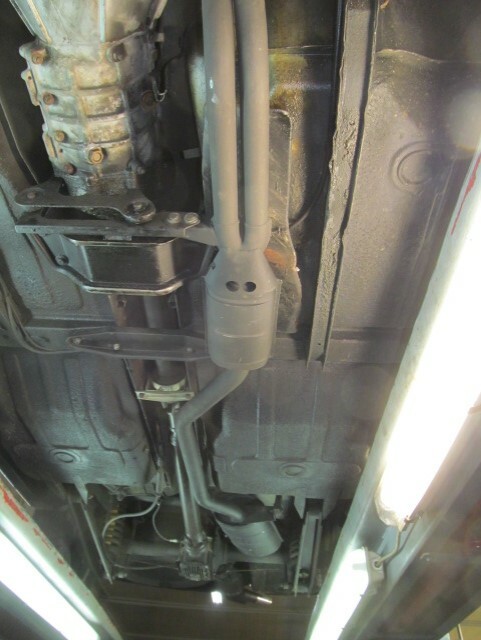 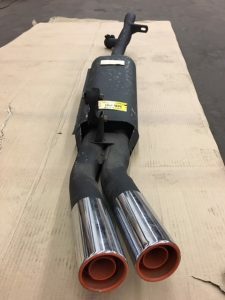 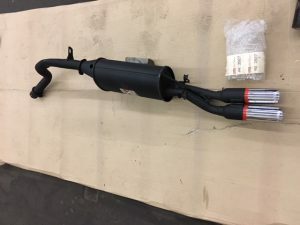 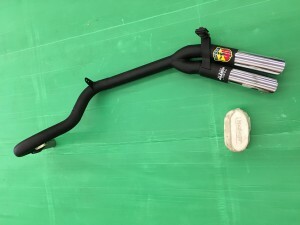 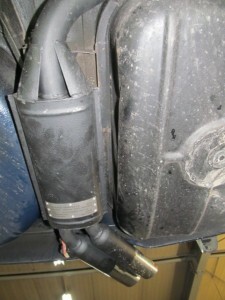 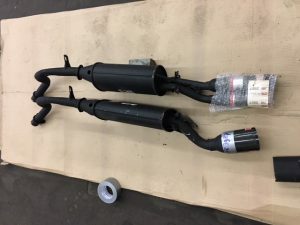 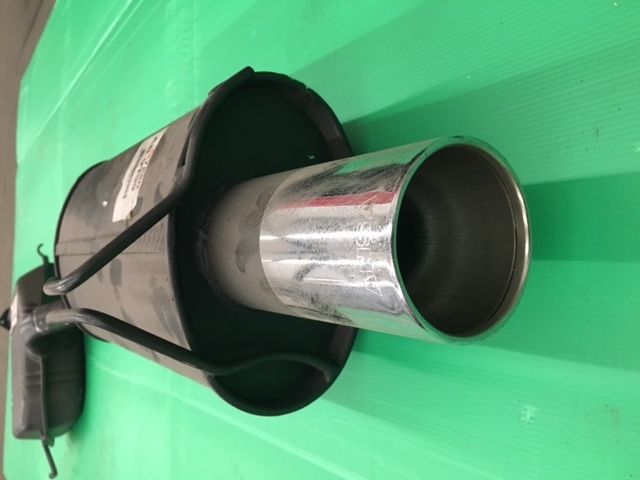 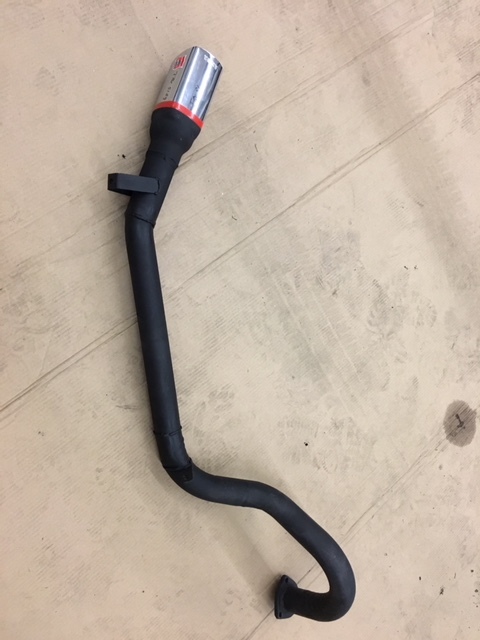 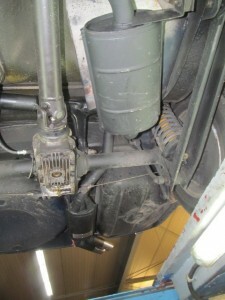 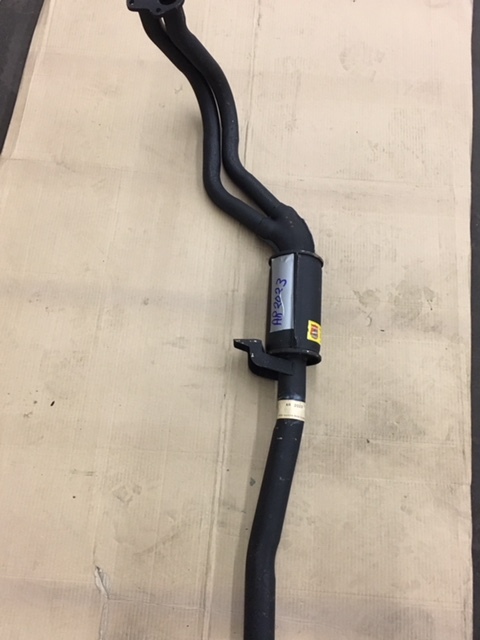 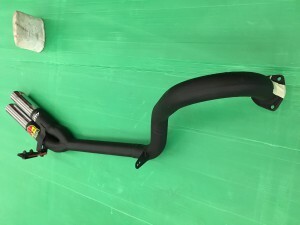 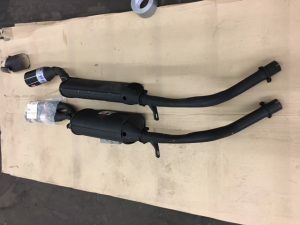 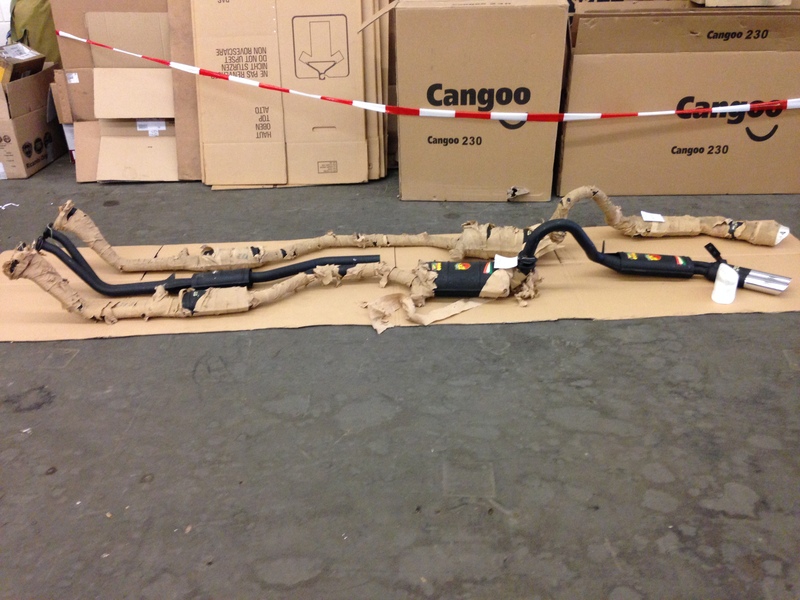 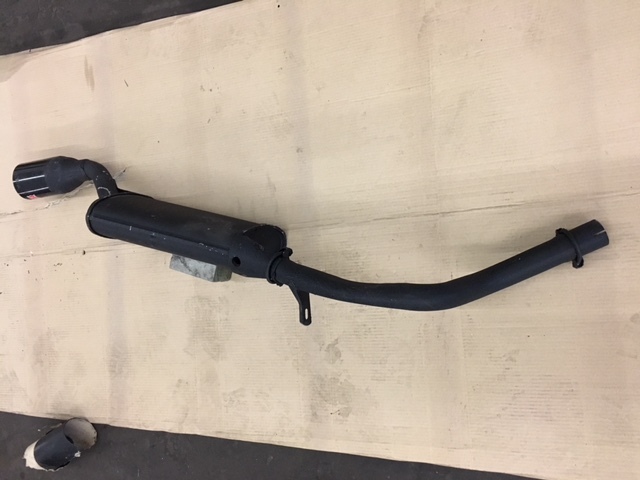 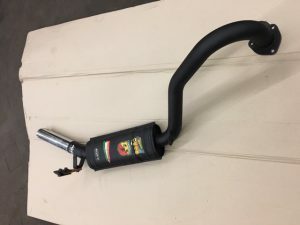 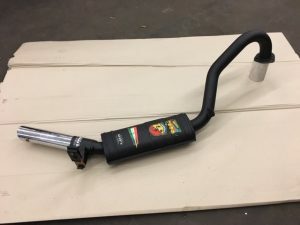 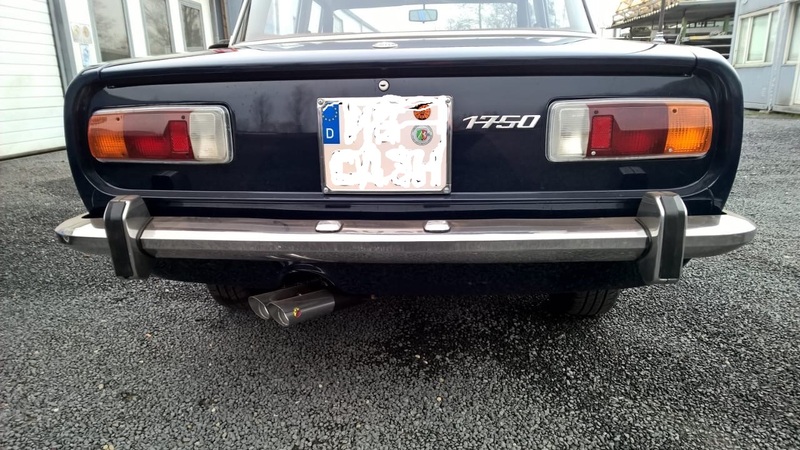 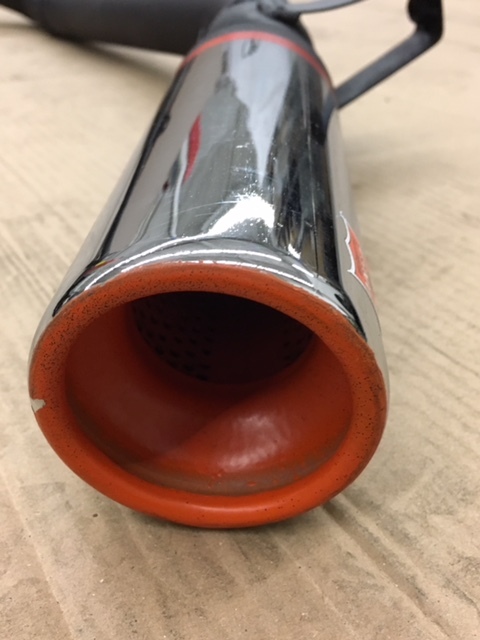 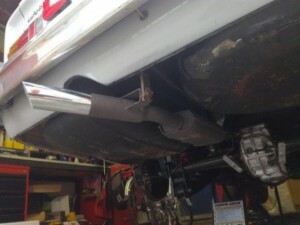 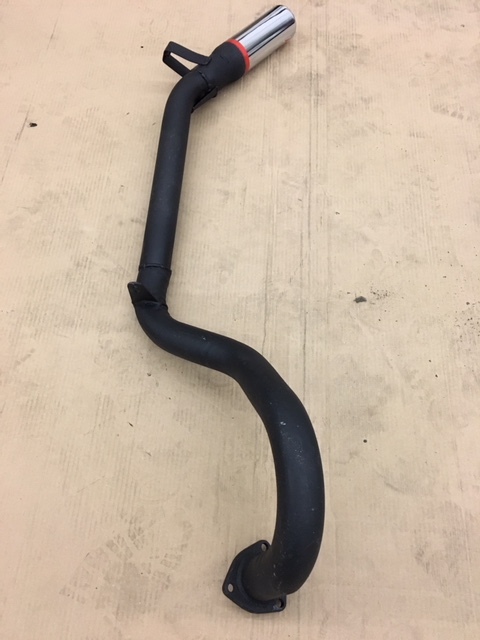 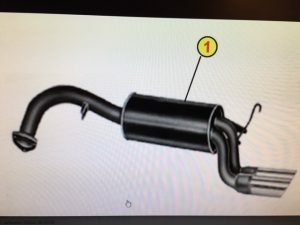 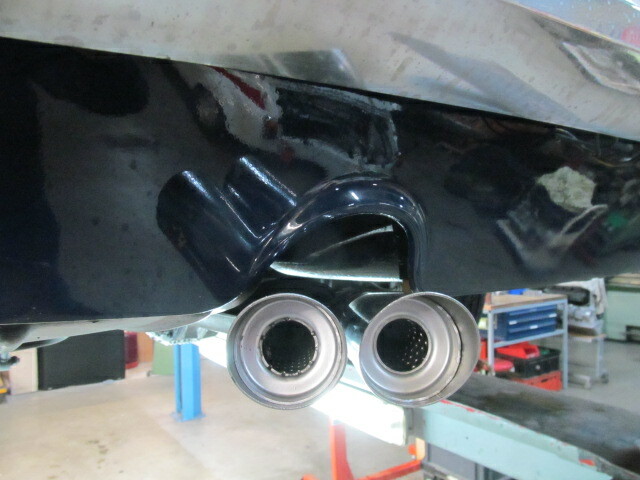 downpipe with 1st silencer(Hosenrohr) for chassis nr. 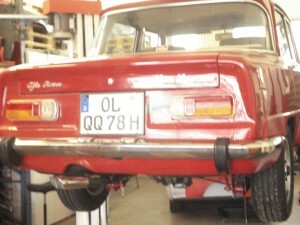 till 174000(1750 Berlina) or chassis nr. 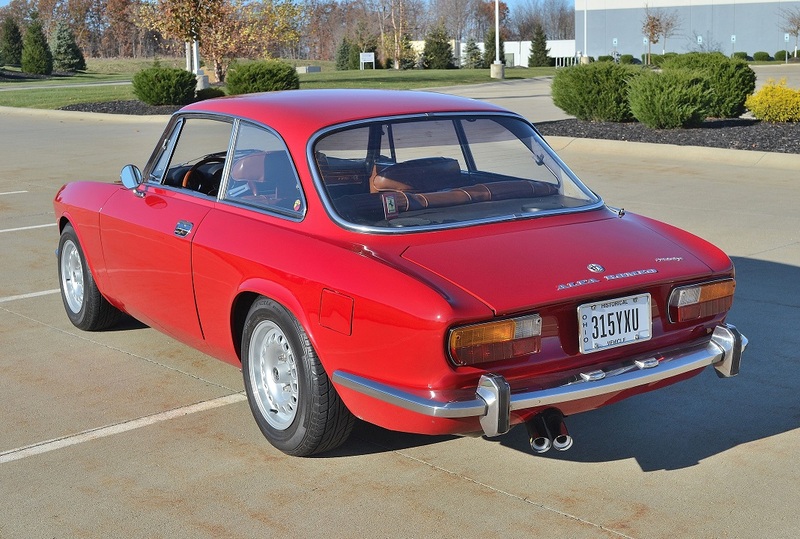 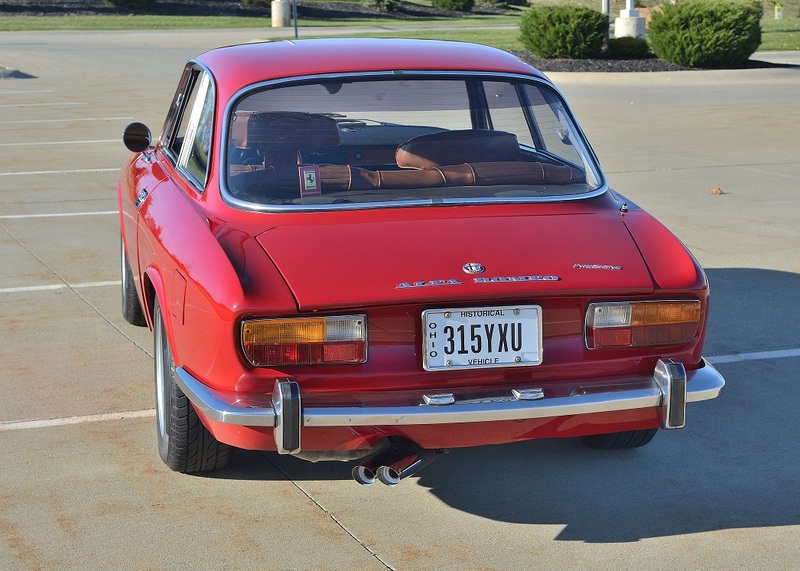 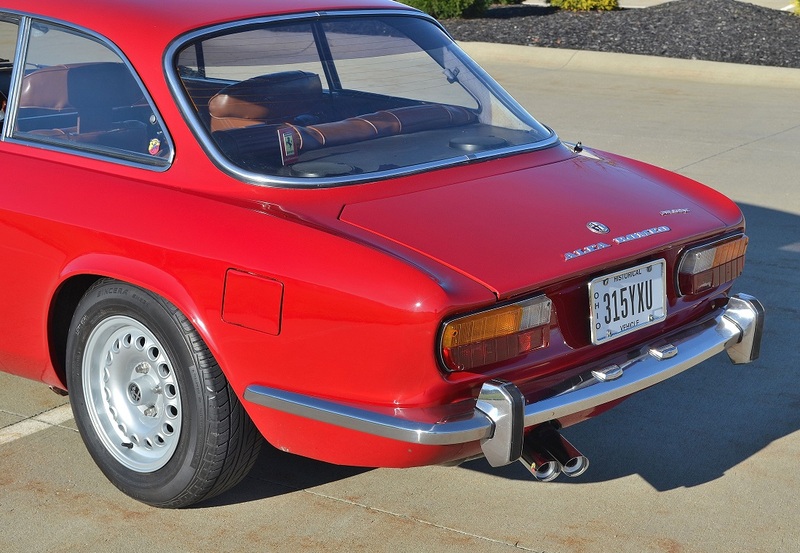 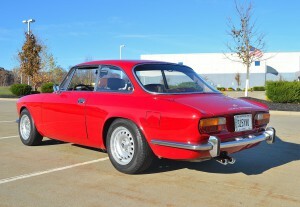 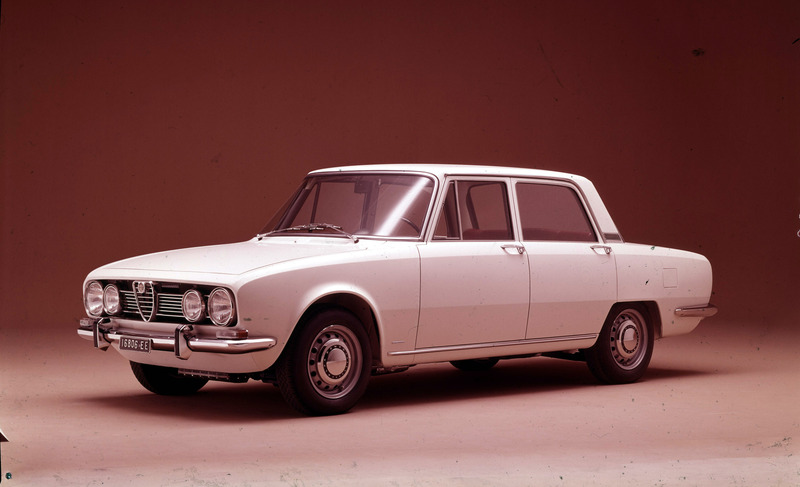 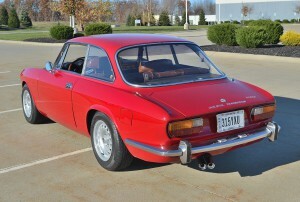 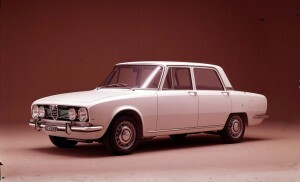 till 1375000 (1750 GTV and Giulia Super). 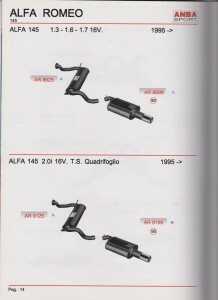 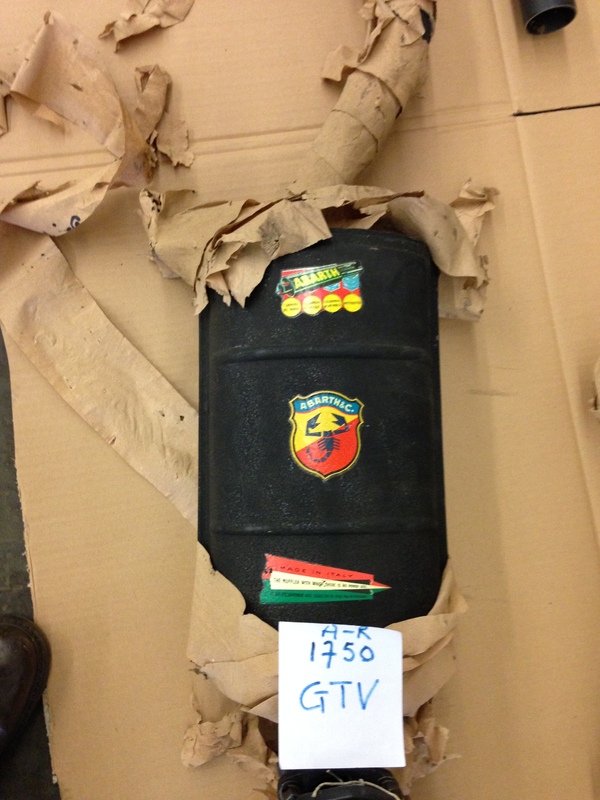 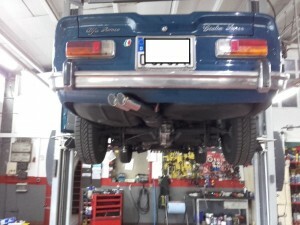 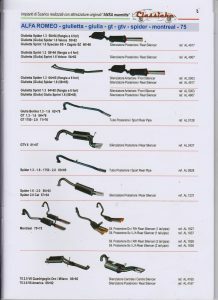 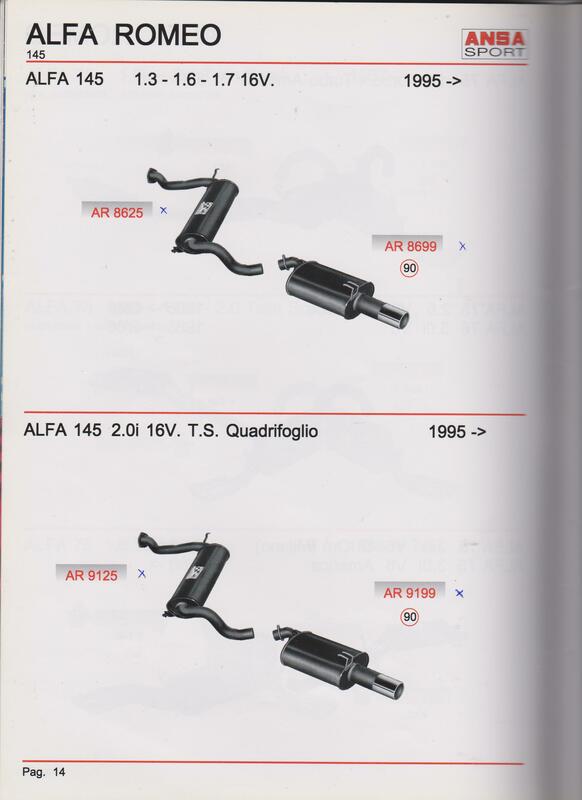 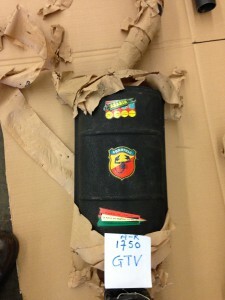 Suited for Alfa Romeo 105-115 Series! 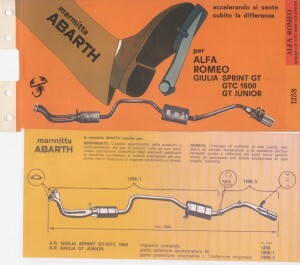 ALTERNATIVE FOR ABARTH NR. 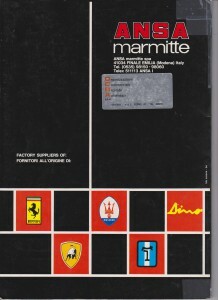 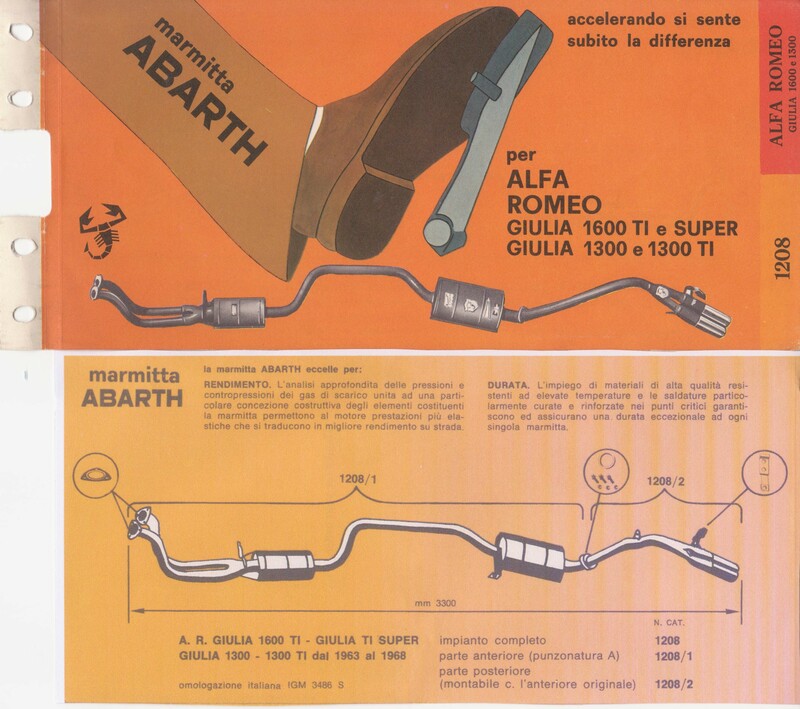 1350: Abarth nr. 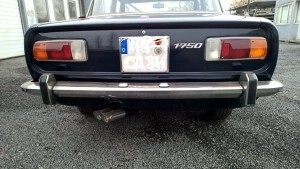 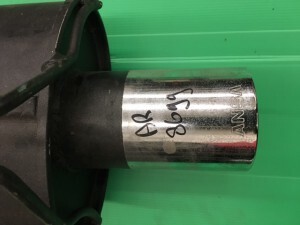 1208/2 with two endresonators and no muffler, incl. 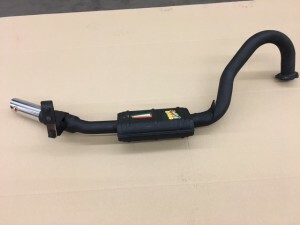 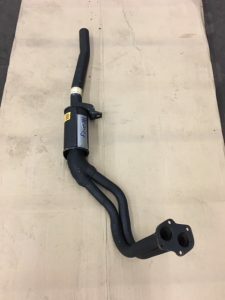 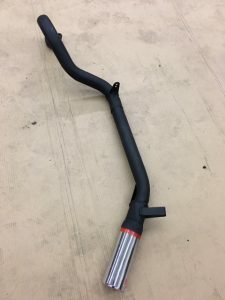 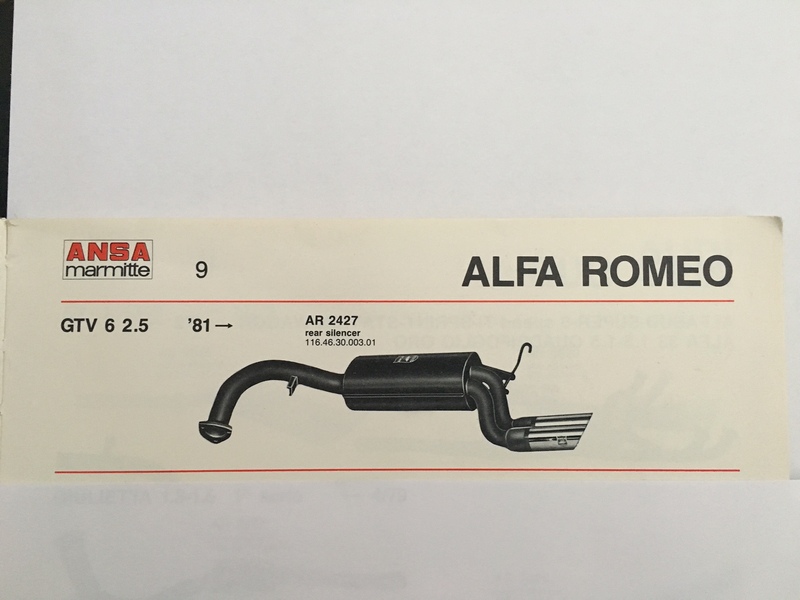 bracket.This universal endsilencer will fit to most Alfa Romeo models, including the Giulia 1300-1300TI-1600-1600TI, Sprint GT, GTC 1600 and GT Junior. 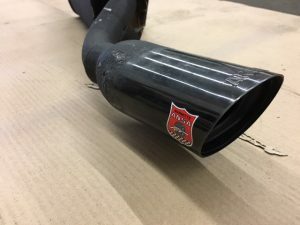 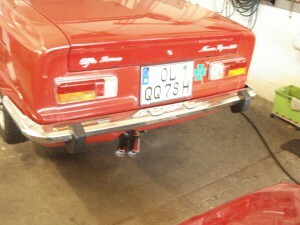 Attention: the sound will be louder than Abarth nr. 1350. 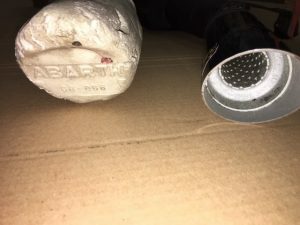 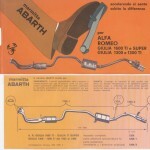 See underneath ABARTH Drawing nr. 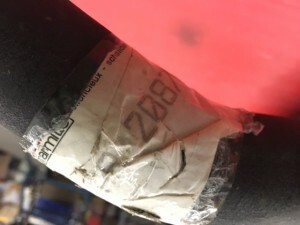 1258/1208! 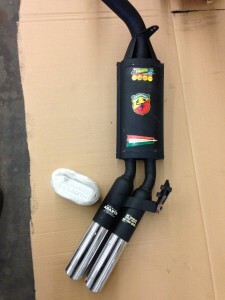 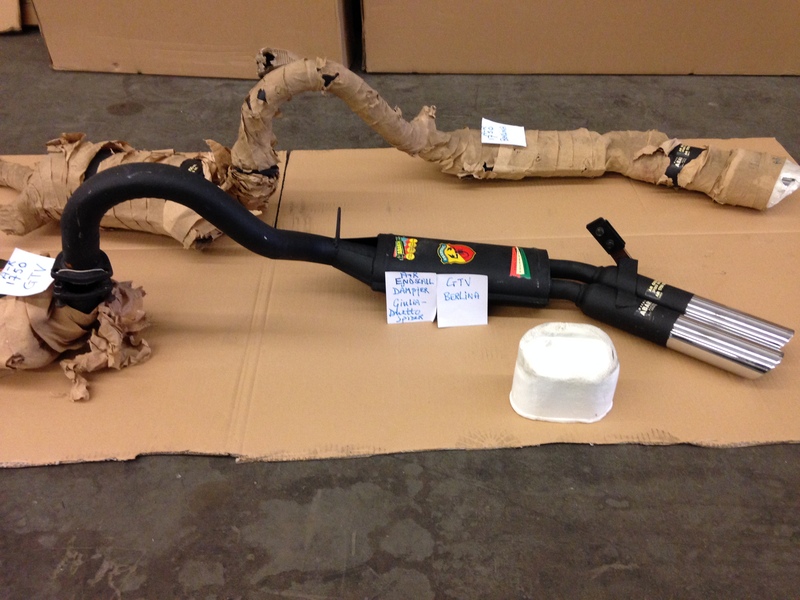 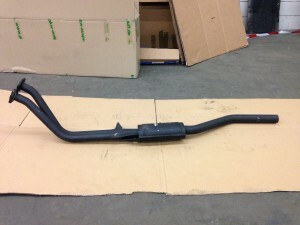 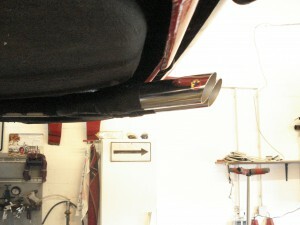 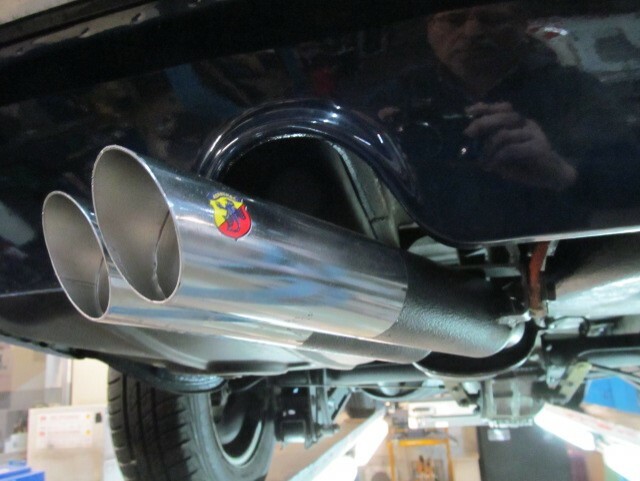 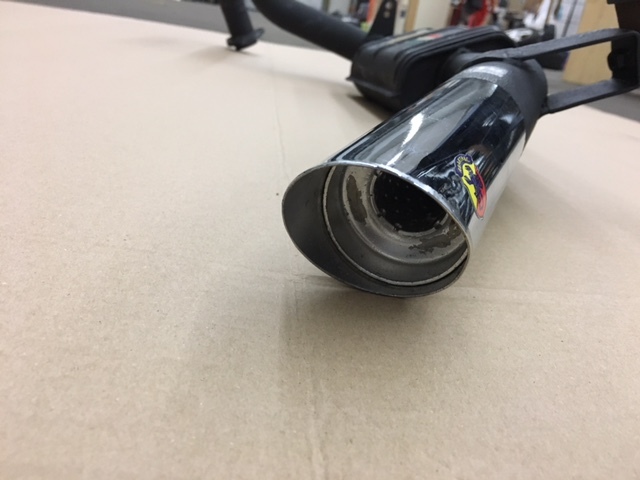 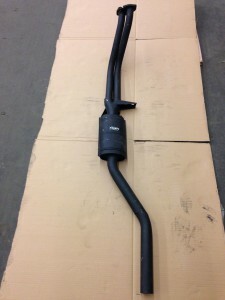 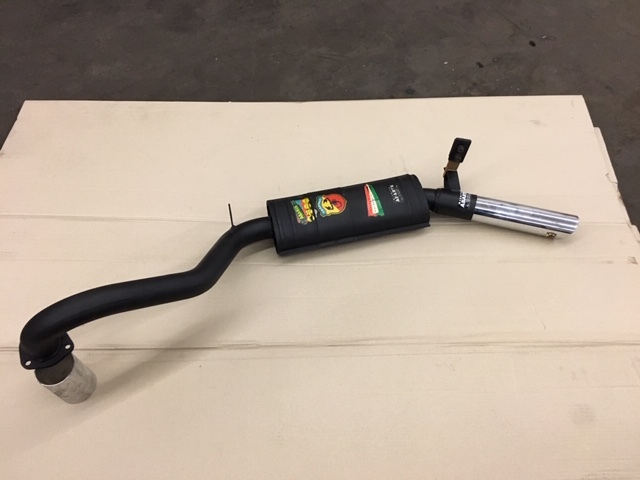 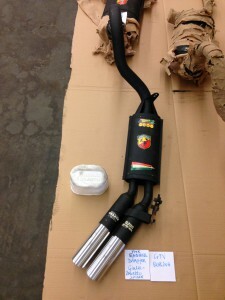 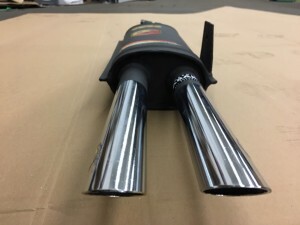 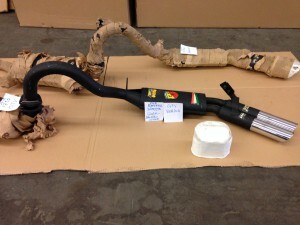 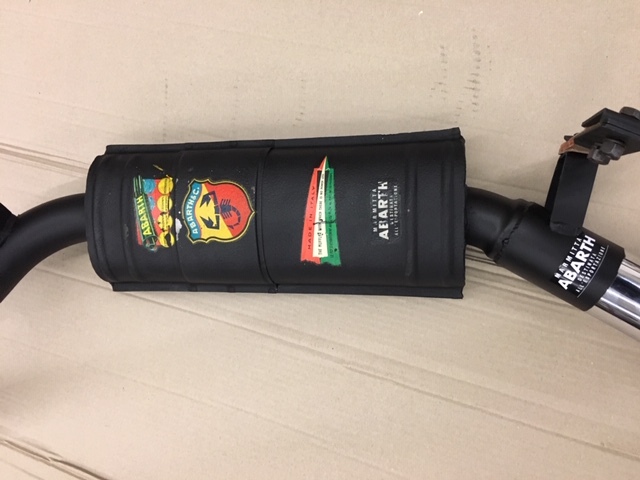 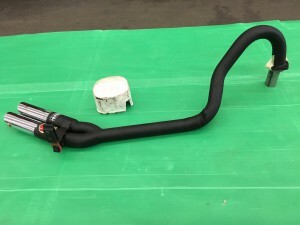 Also available 350 mm length Abarth endsilencer as above with 60 mm diameter single short Abarth chrome endpipe. 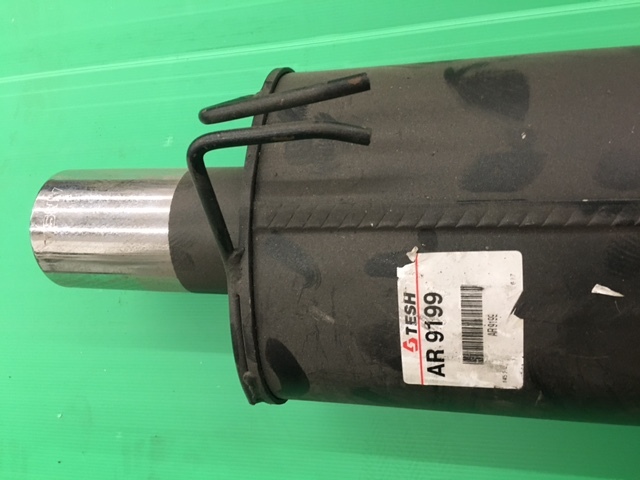 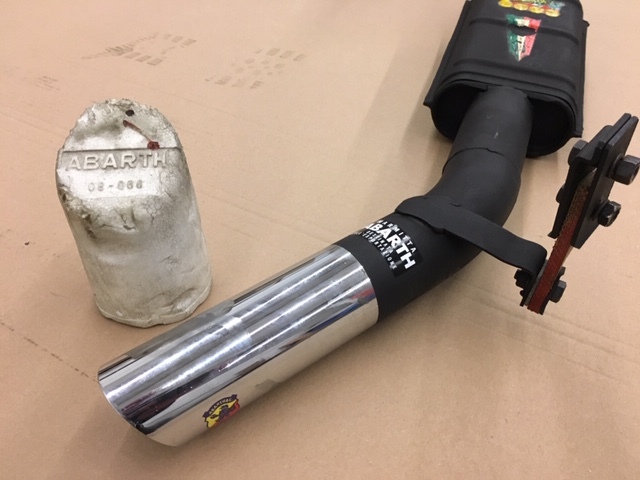 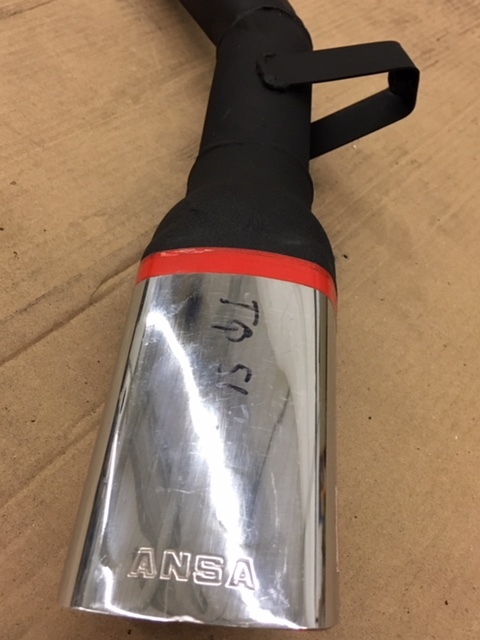 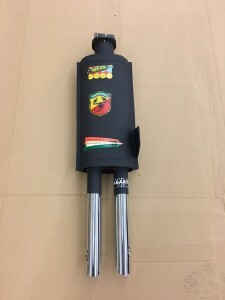 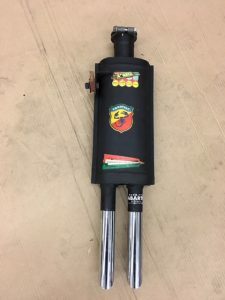 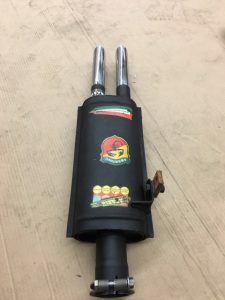 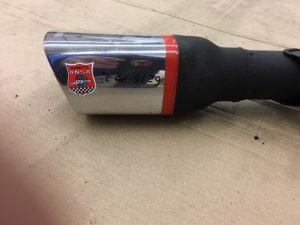 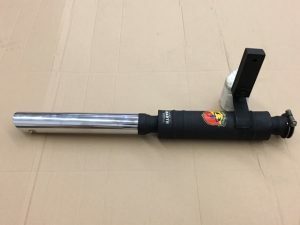 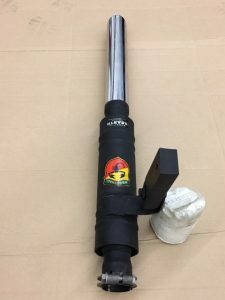 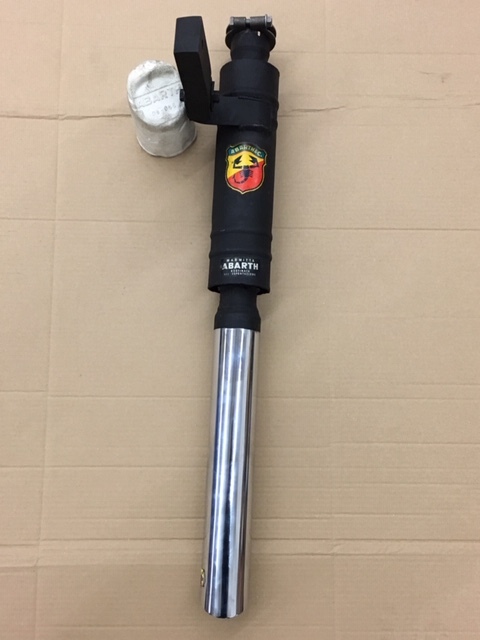 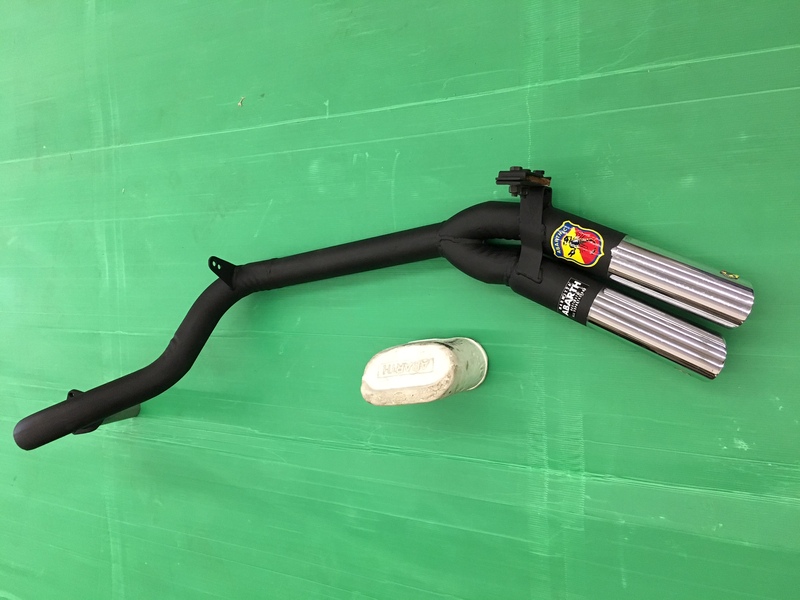 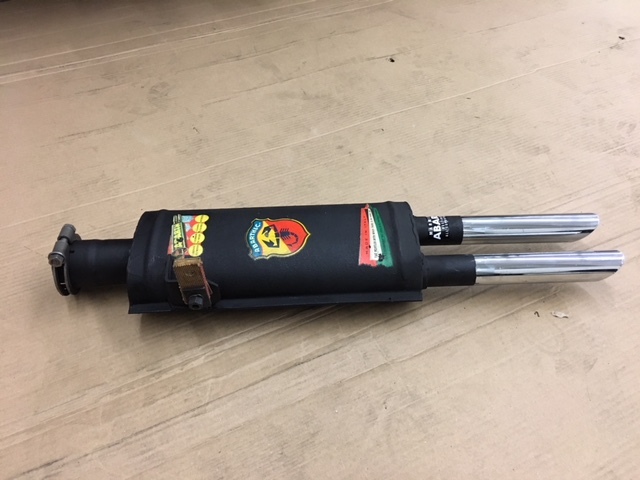 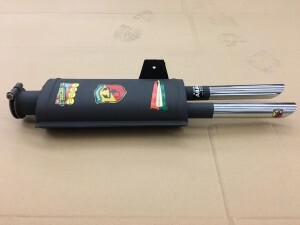 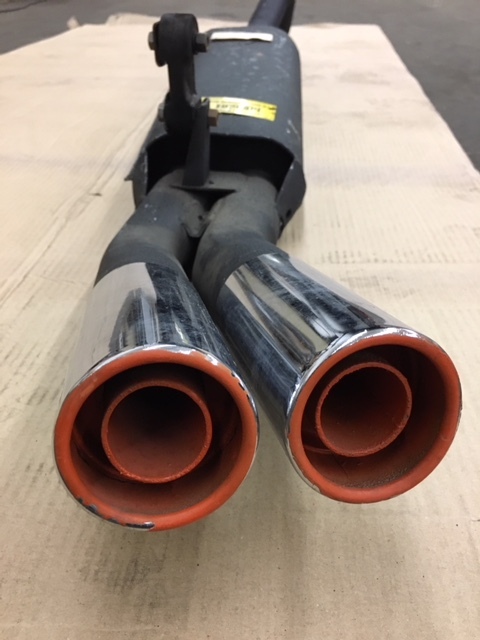 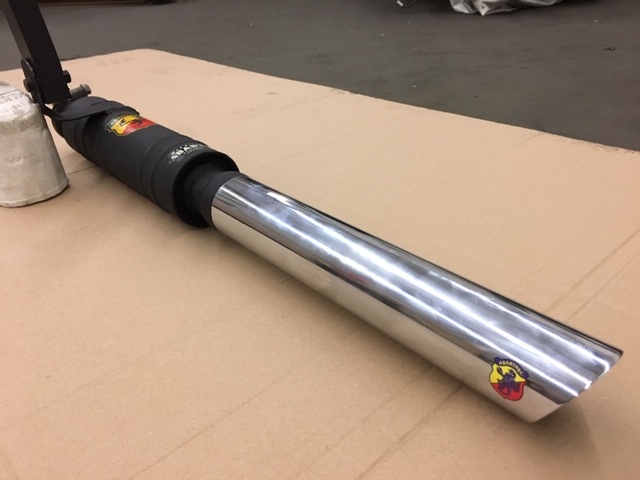 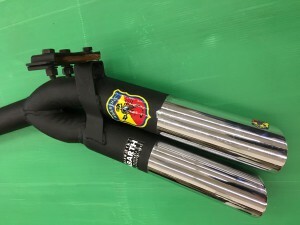 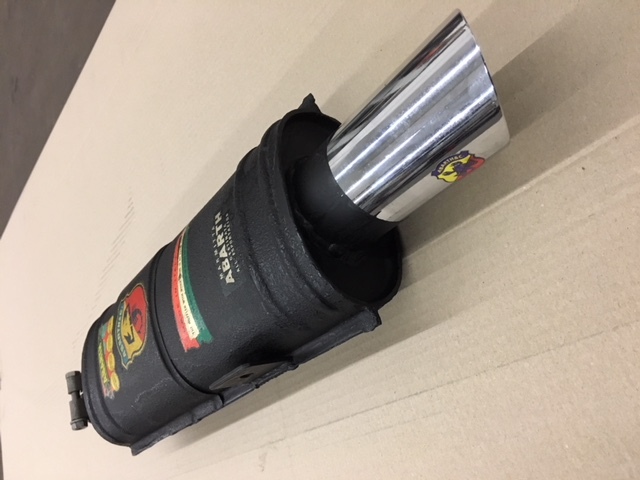 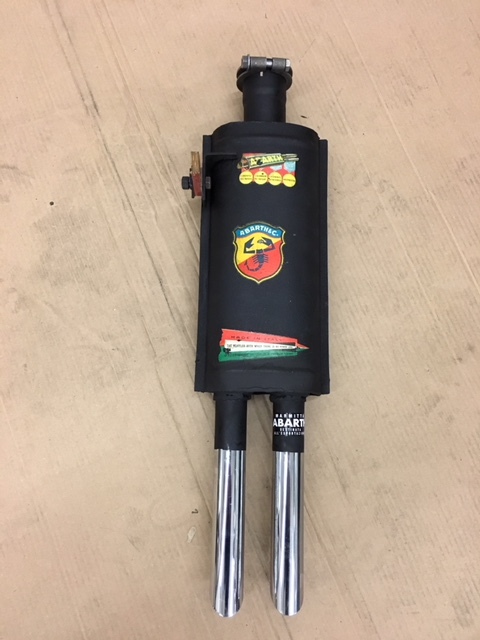 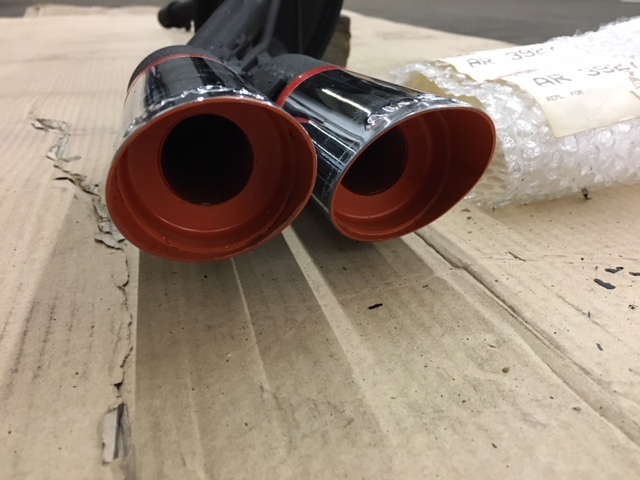 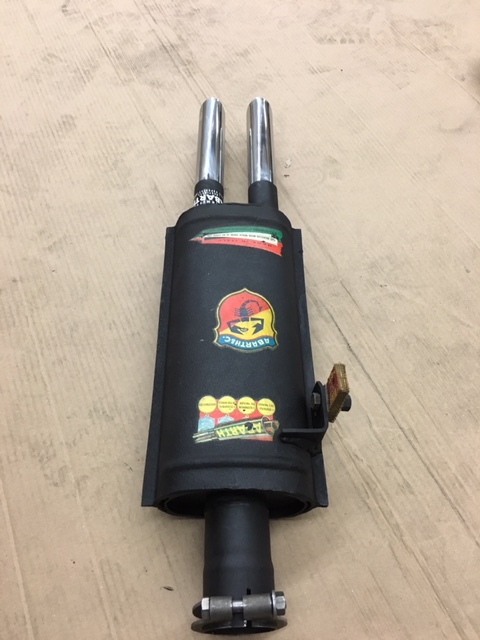 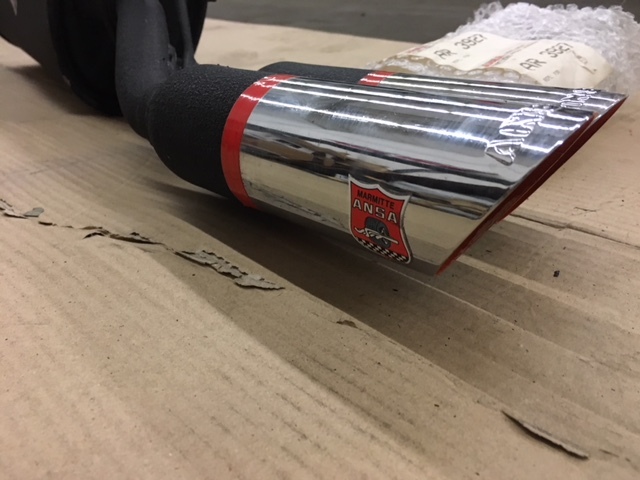 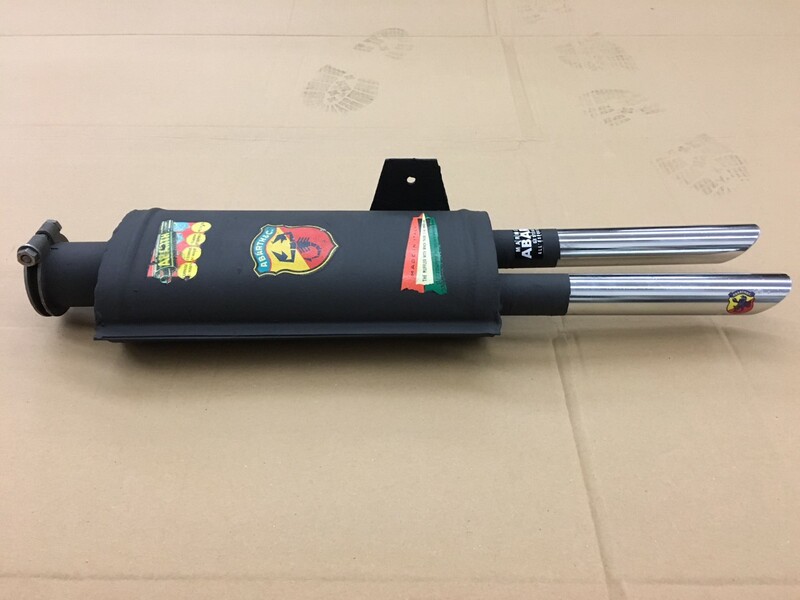 NOW also available: Abarth round 80 mm diameter, length 300 mm endsilencer with 60 mm diameter Abarth chrome endpipe length 395 mm incl. rubber bracket andclamp. 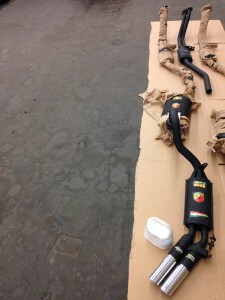 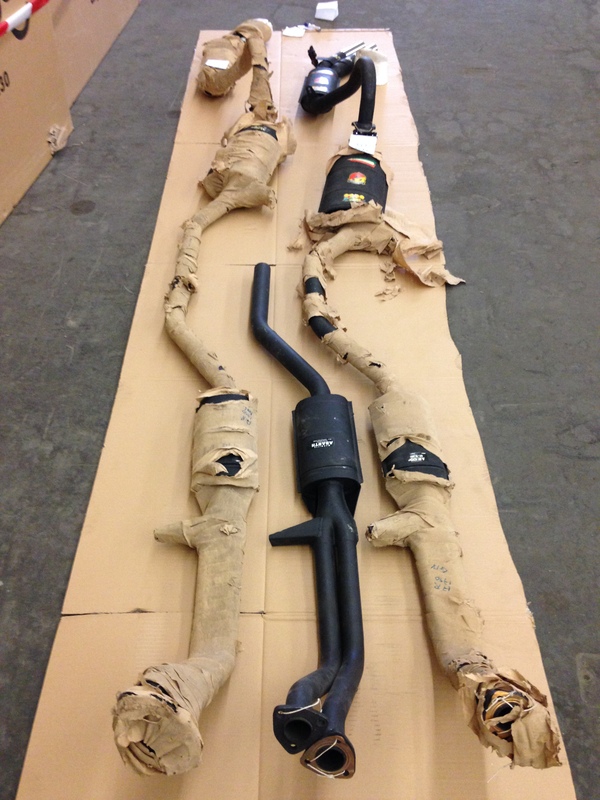 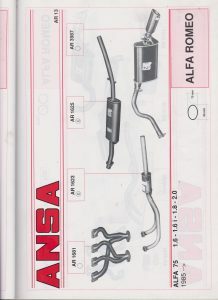 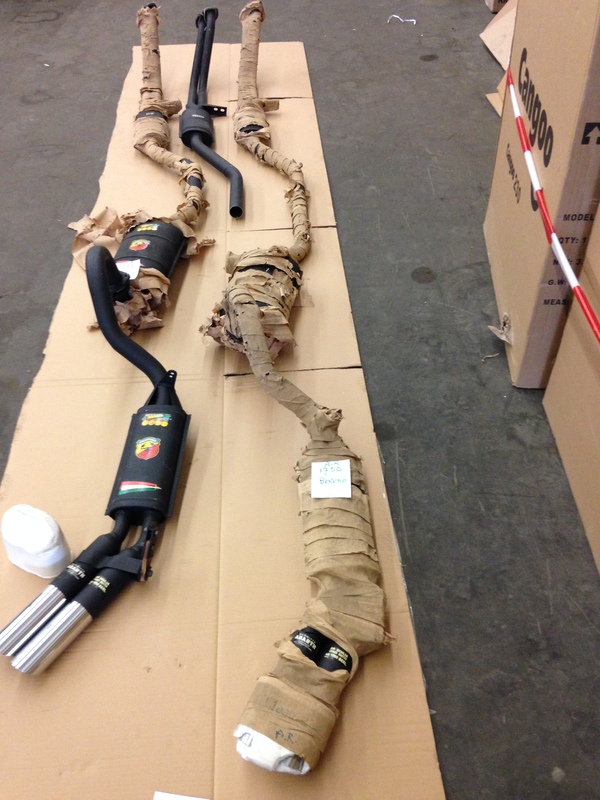 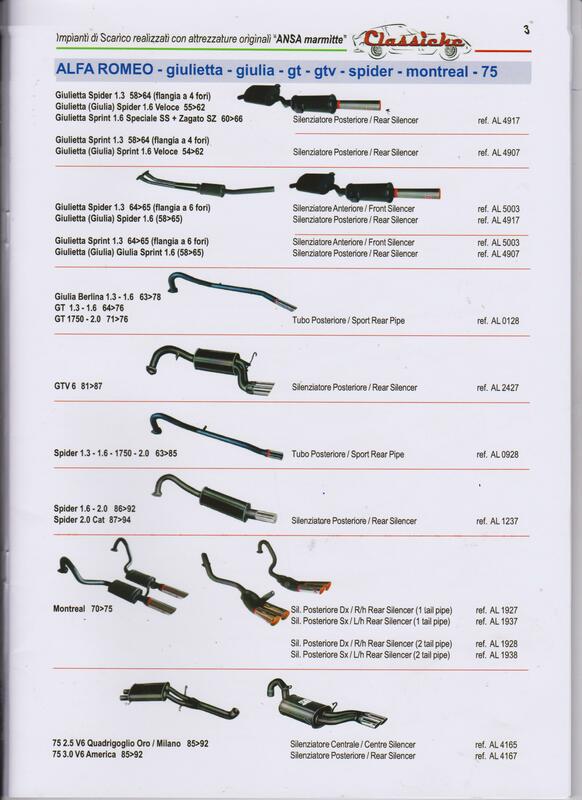 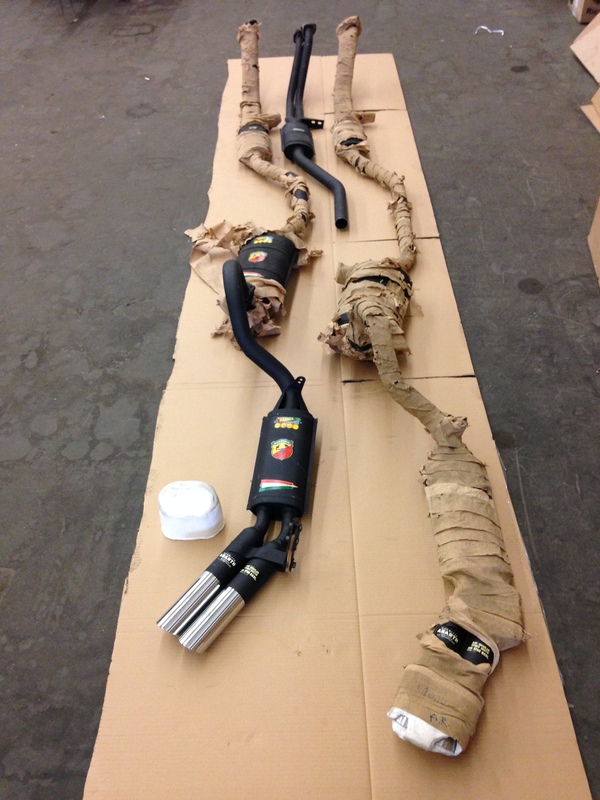 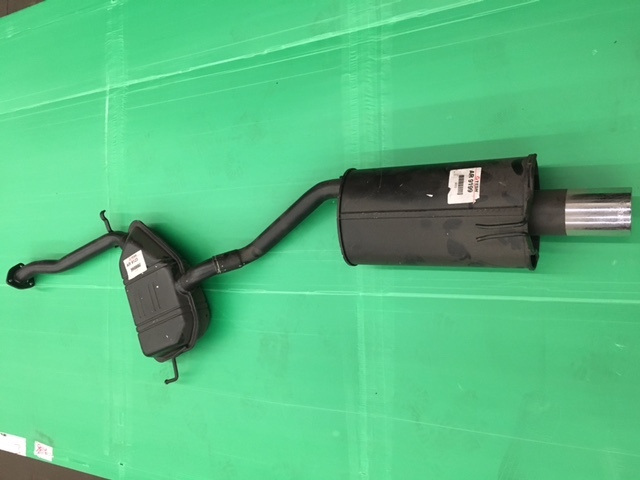 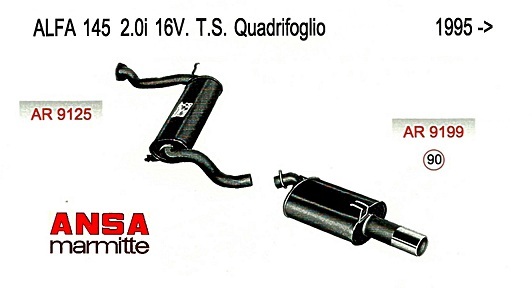 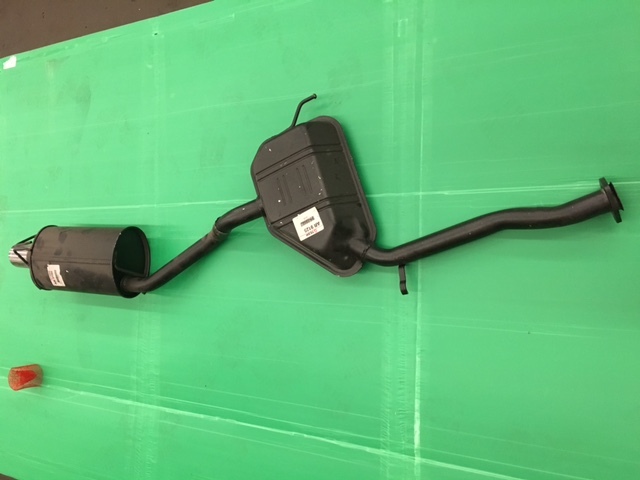 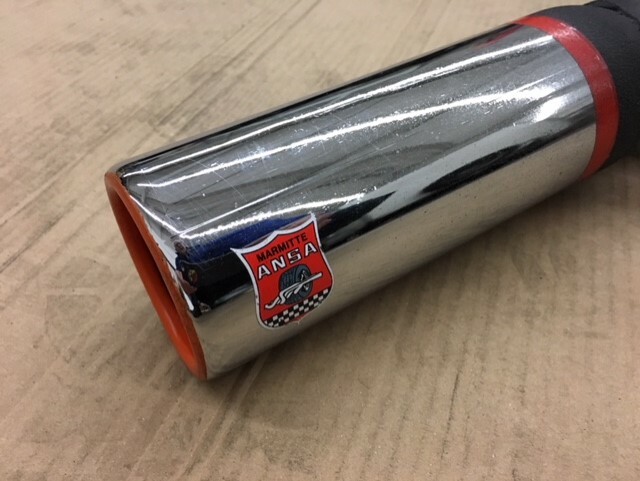 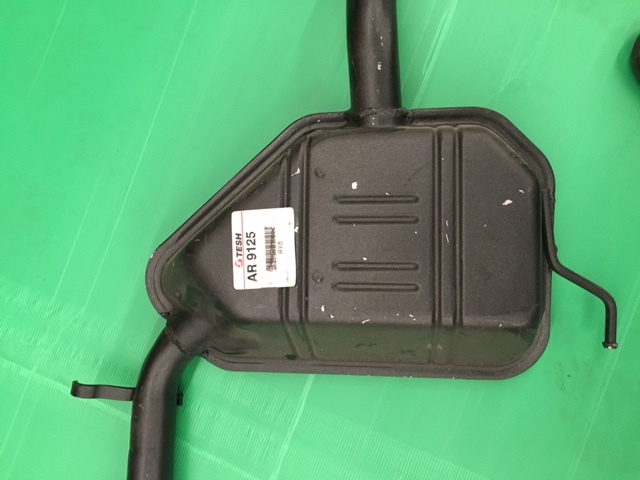 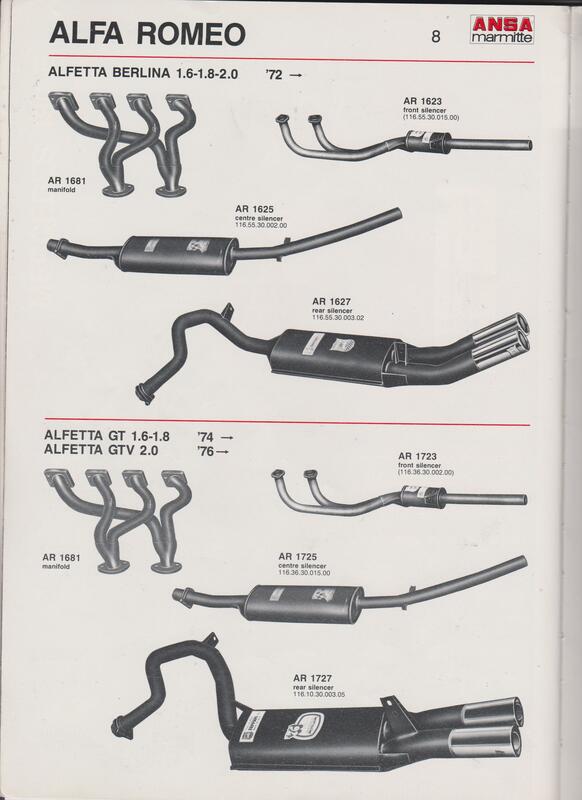 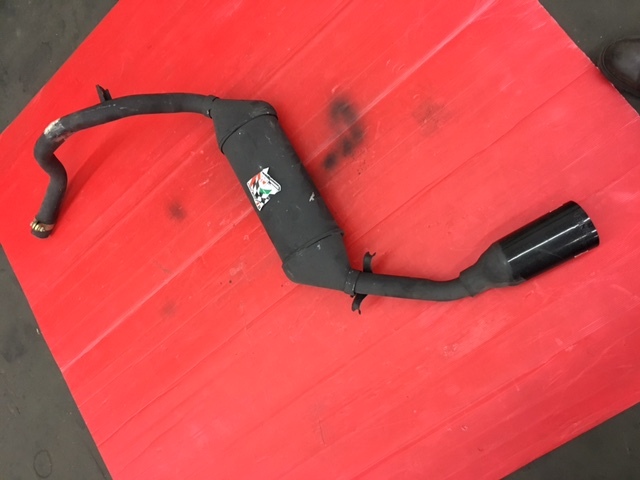 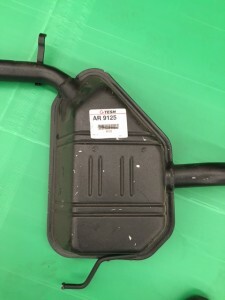 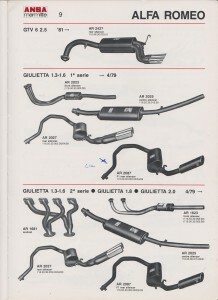 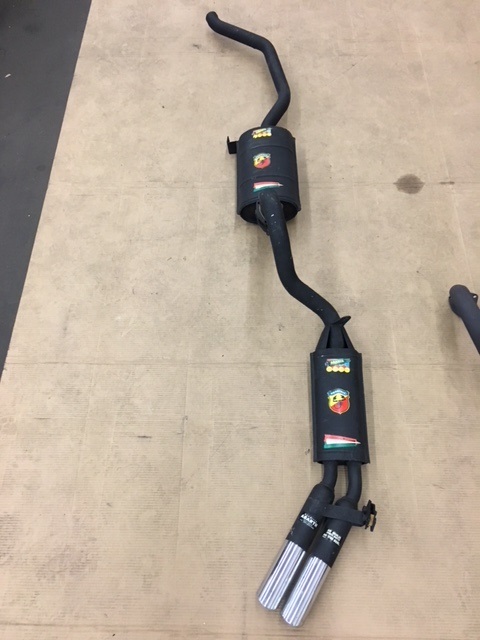 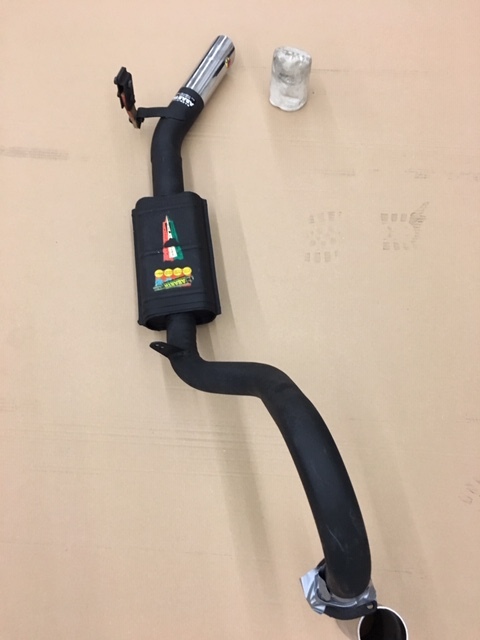 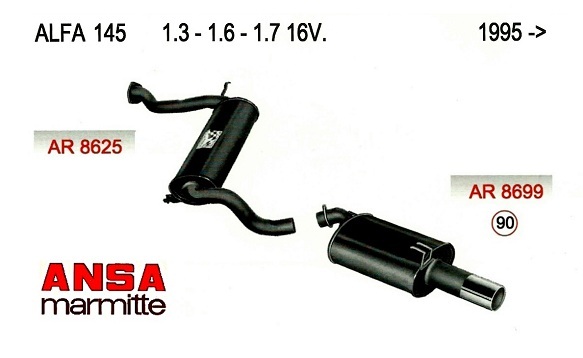 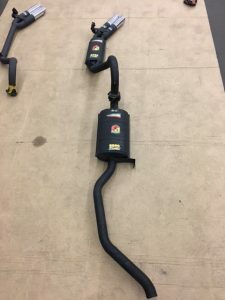 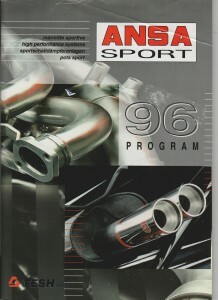 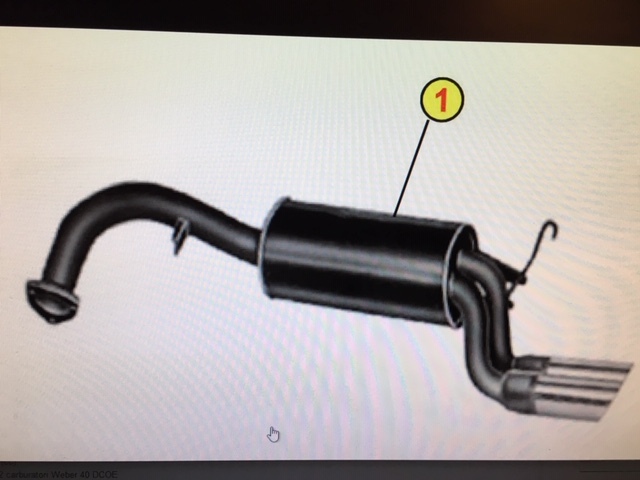 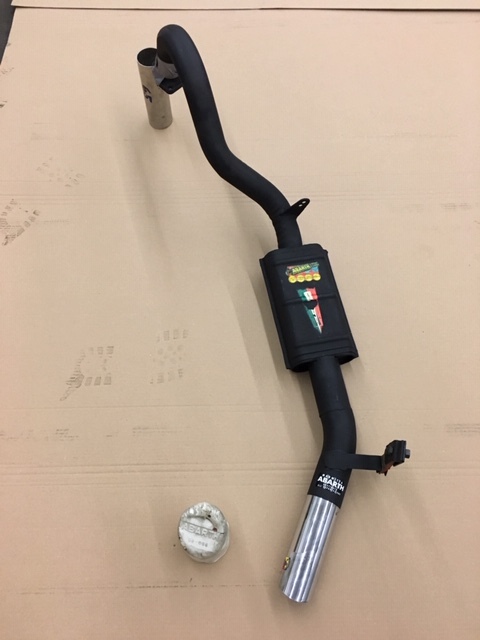 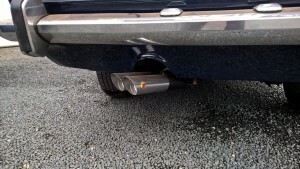 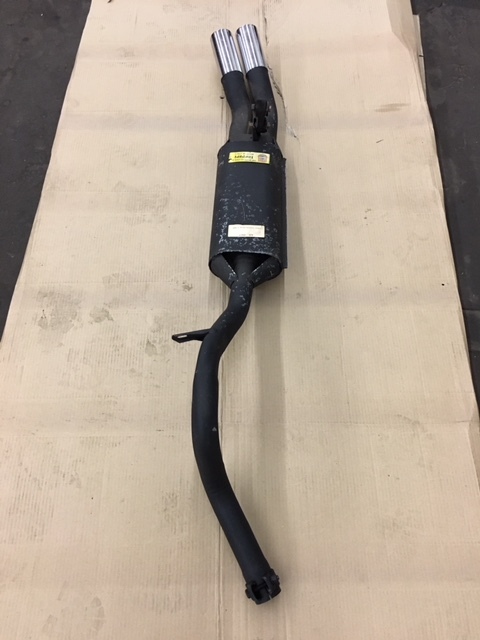 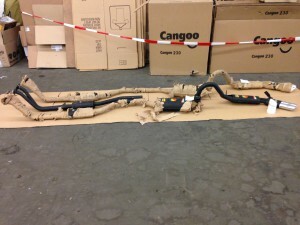 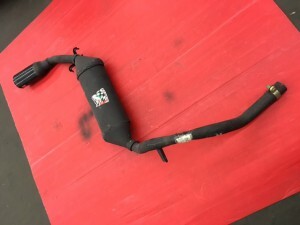 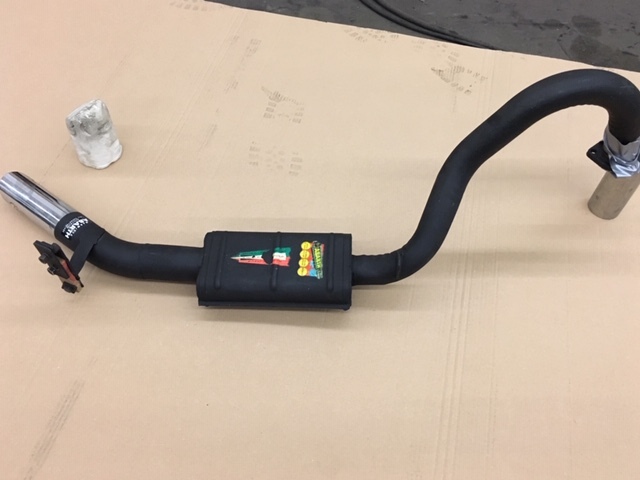 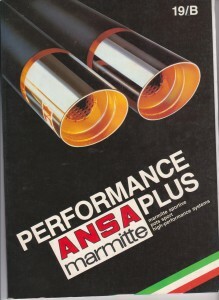 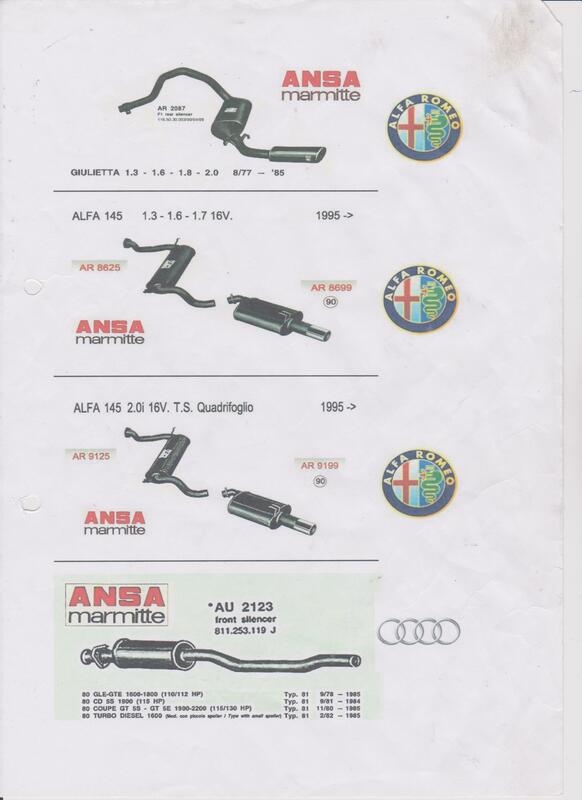 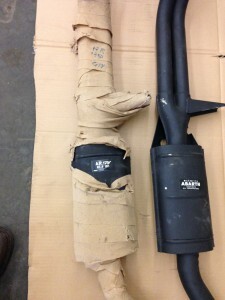 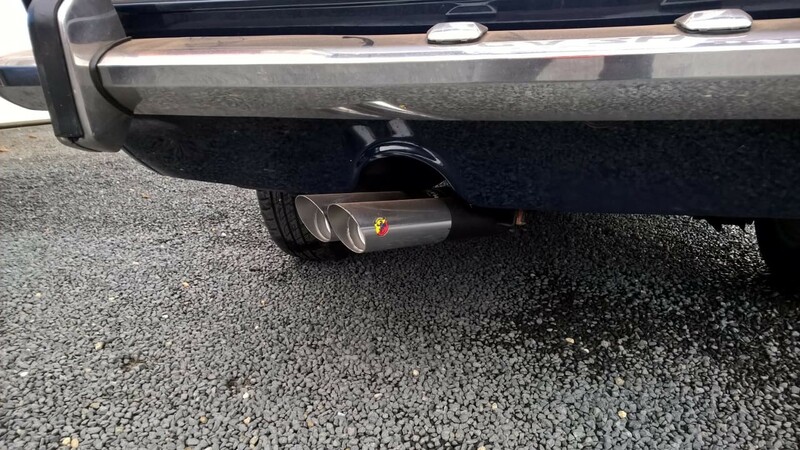 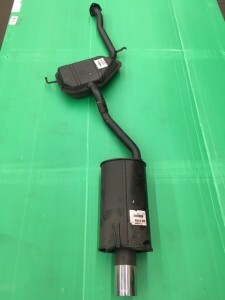 We now can also supply the ANSA complete exhaust programm for the Giulietta’s, please ask for a quote! Now also available for the Alfa Romeo Giulietta/Giulia Sprint Speciale SS: Abarth endsilecer 80 mm diameter, length 300 mm incl. 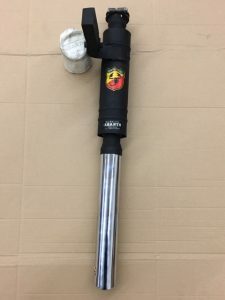 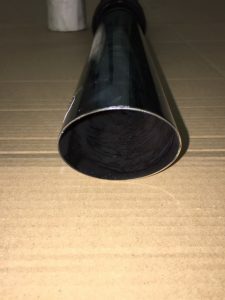 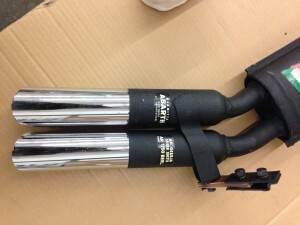 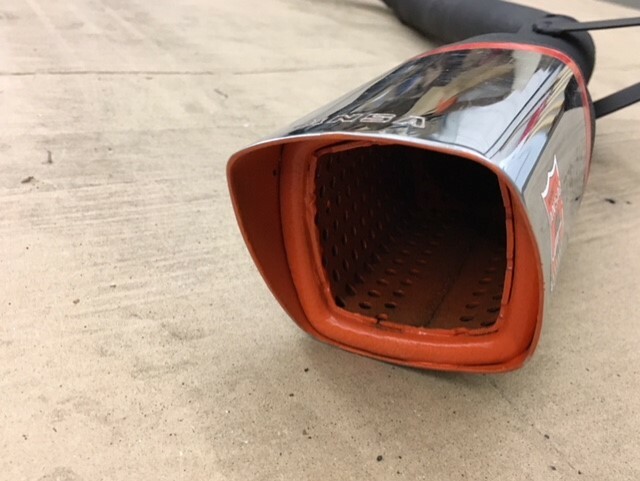 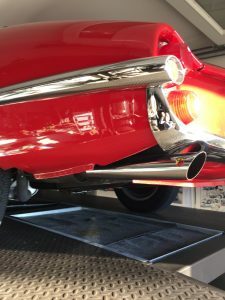 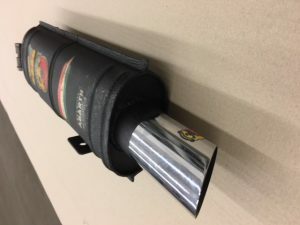 300 mm length Abarth chrome endpipe with 60 mm diameter incl. 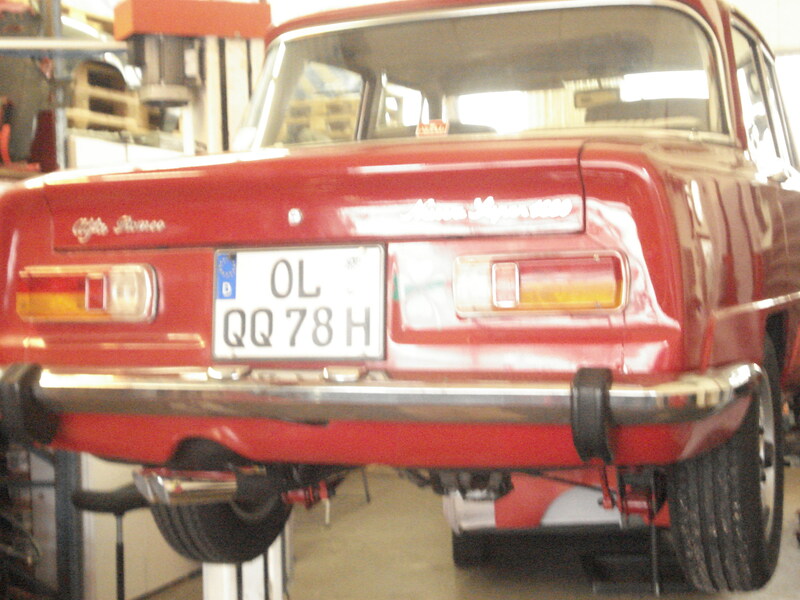 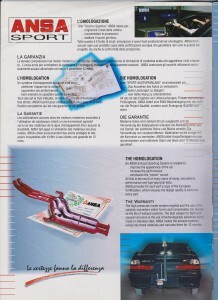 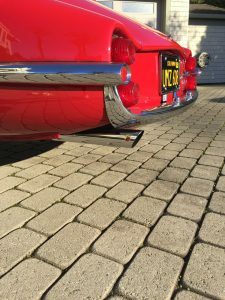 rubber bracket and clamp, Several length of the endpipes available suited for the Spider-SZ Zagato. 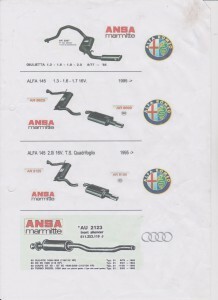 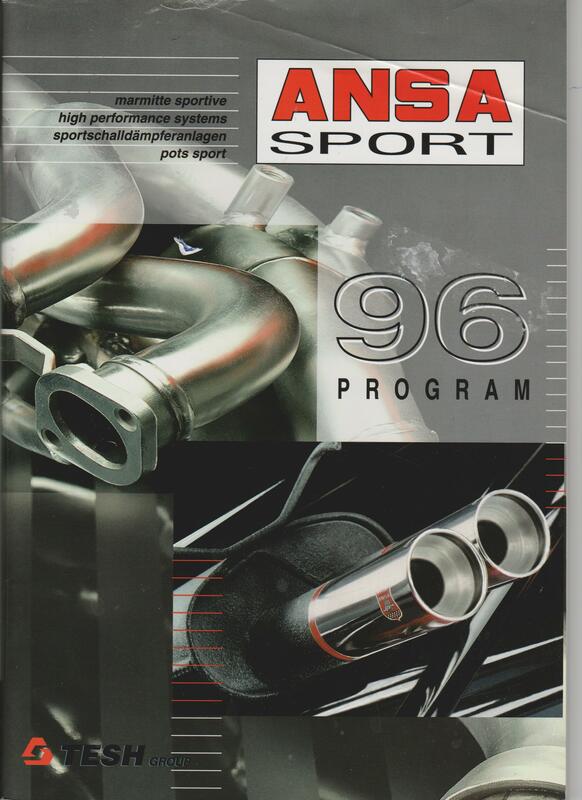 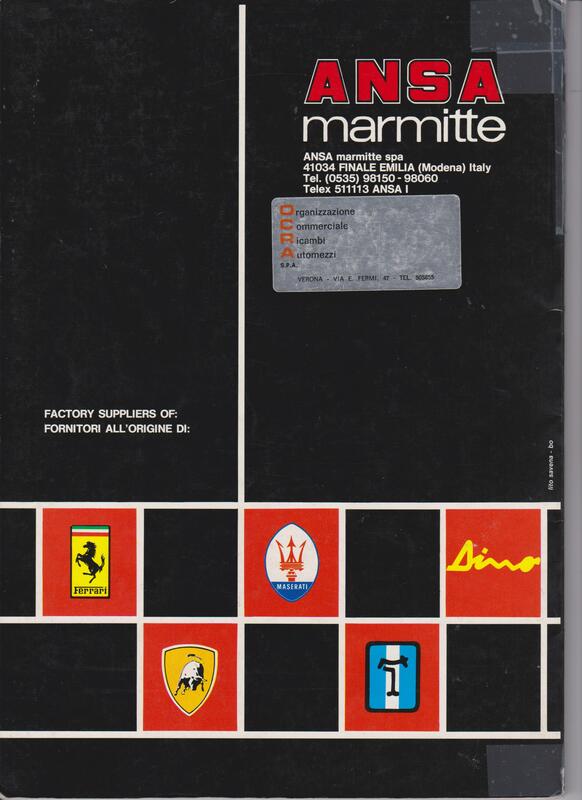 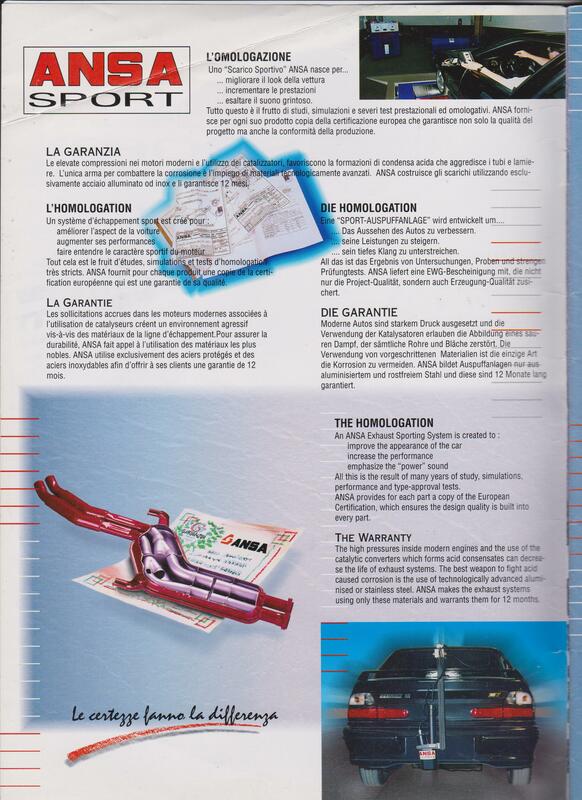 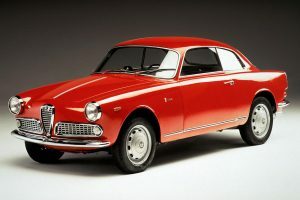 ANSA programm for Alfa Romeo: also available!